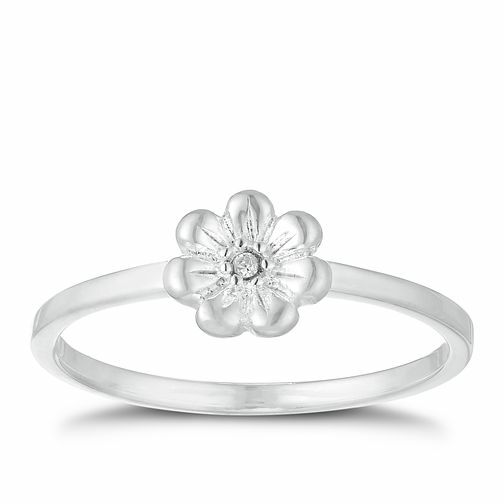 How cute is this silver flower ring? Embedded with a shimmering cubic zirconia stone, this fabulous floral ring is set to sparkle. A polished silver band completes this ring, an ideal gifting idea! Size H.